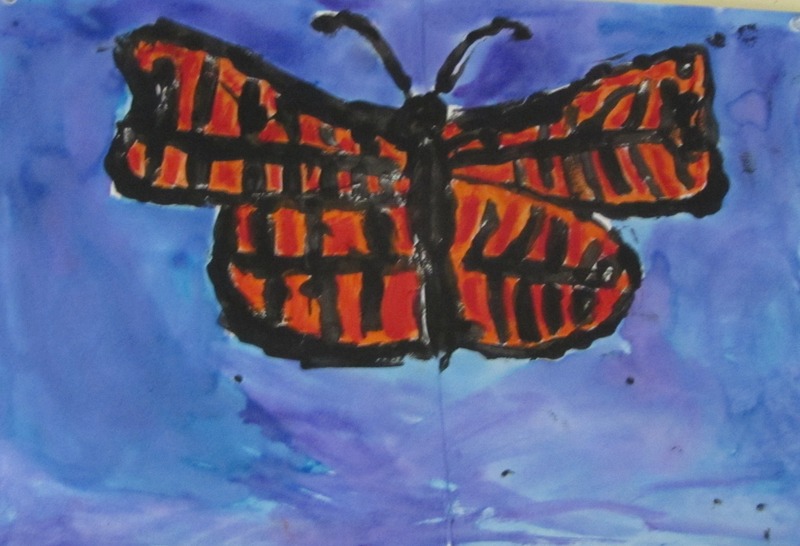 As part of their science curriculum the second grade students at Mount Madonna School have been studying life cycles. 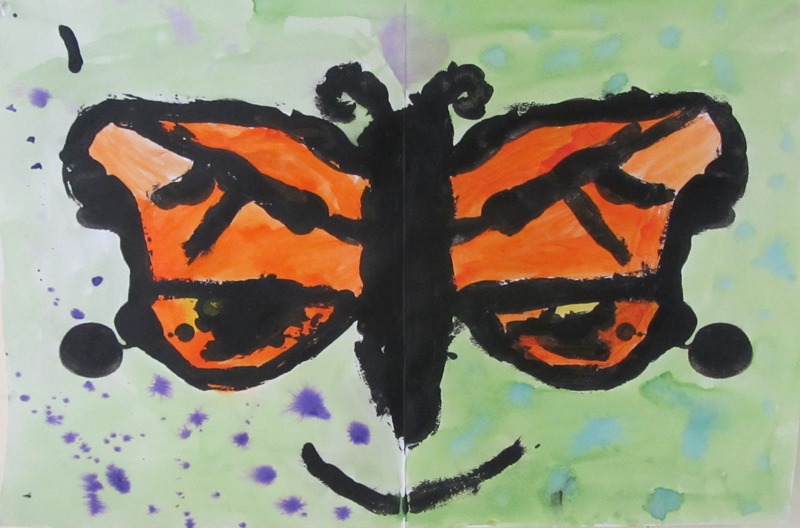 Students learned about insect, amphibian and mammal life cycles, and then focused on the monarch butterfly. 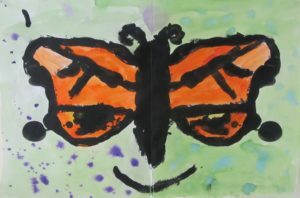 For this more focused study, the students read and wrote reports about the monarchs and completed creative art projects. 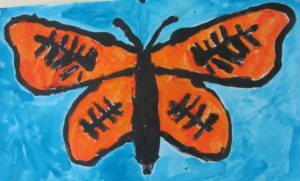 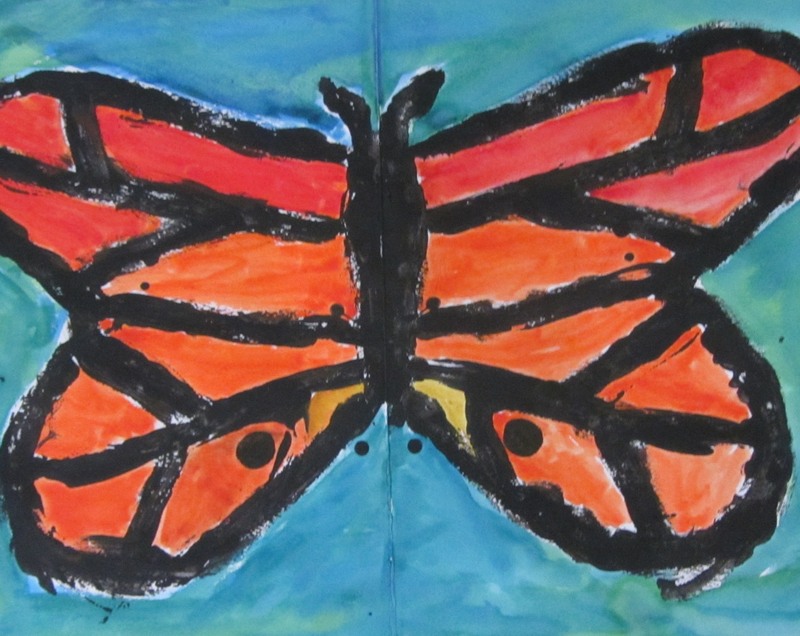 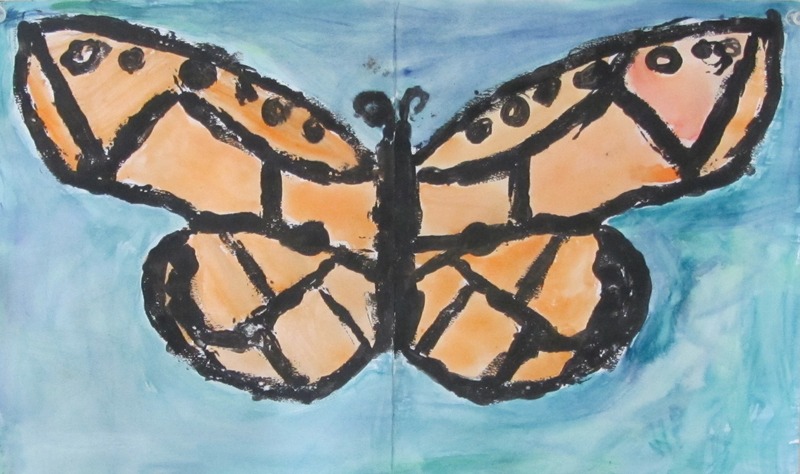 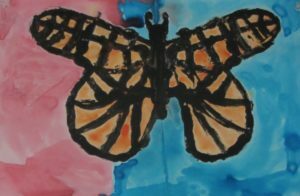 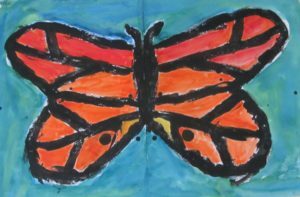 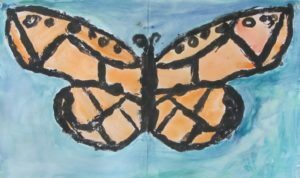 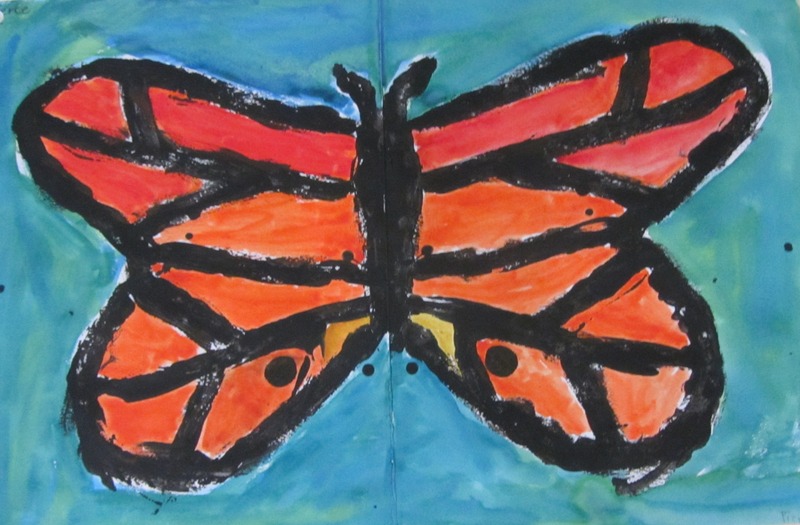 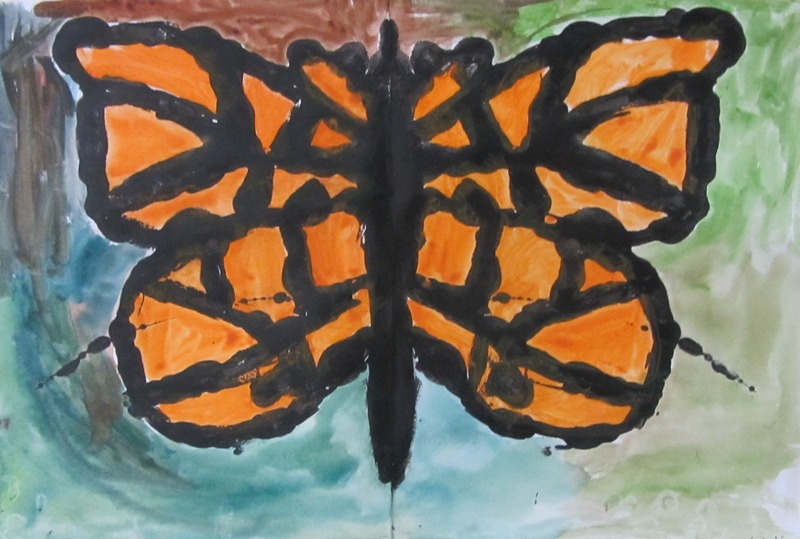 For one of the projects, students folded sheets of watercolor paper in half, then drew partial a butterfly body – one antenna and one set of wings – on half of the paper. 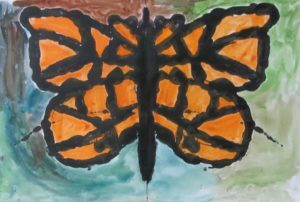 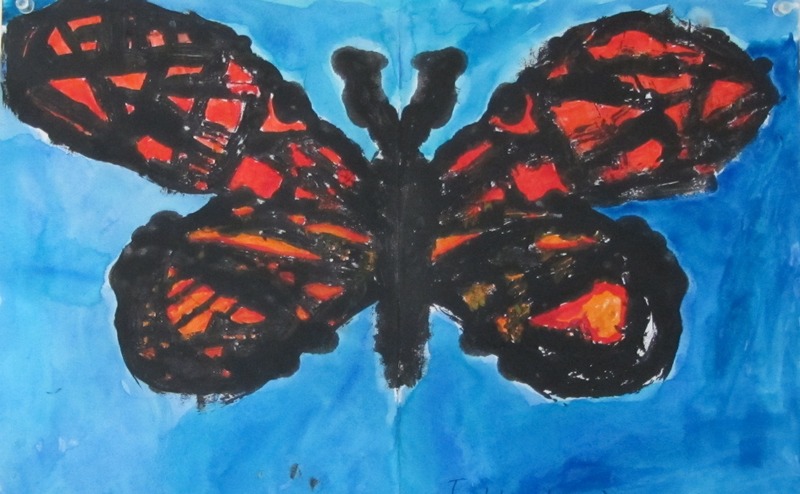 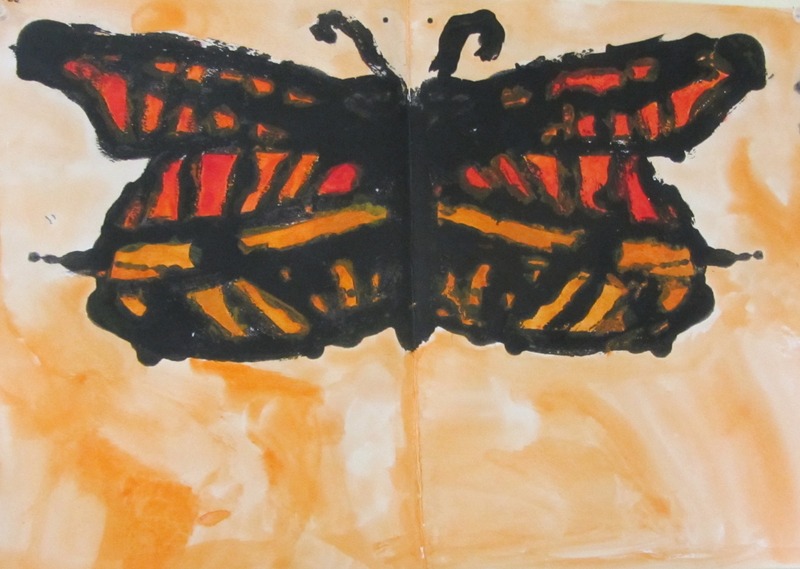 They painted the outlines with a mixture of white glue and black tempera paint, and then carefully folded and gently pressed to mark the other half of the paper with a perfectly symmetrical butterfly print. Once the outlines dried, the students painted them with bright watercolors, adding detail. 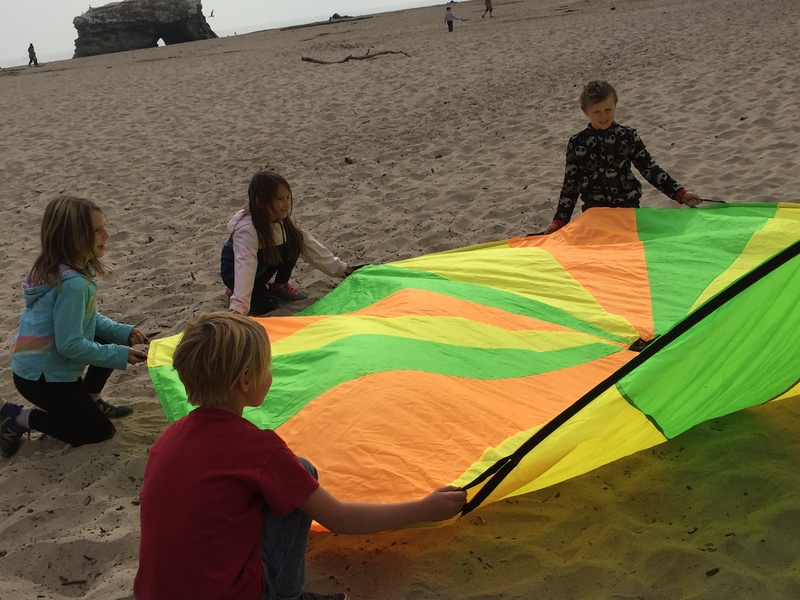 Their projects were followed up with a field trip the following week to Natural Bridges State Beach in Santa Cruz, where they viewed the migrating monarchs in their winter habitat of a eucalyptus grove, the only State Monarch Preserve in California. 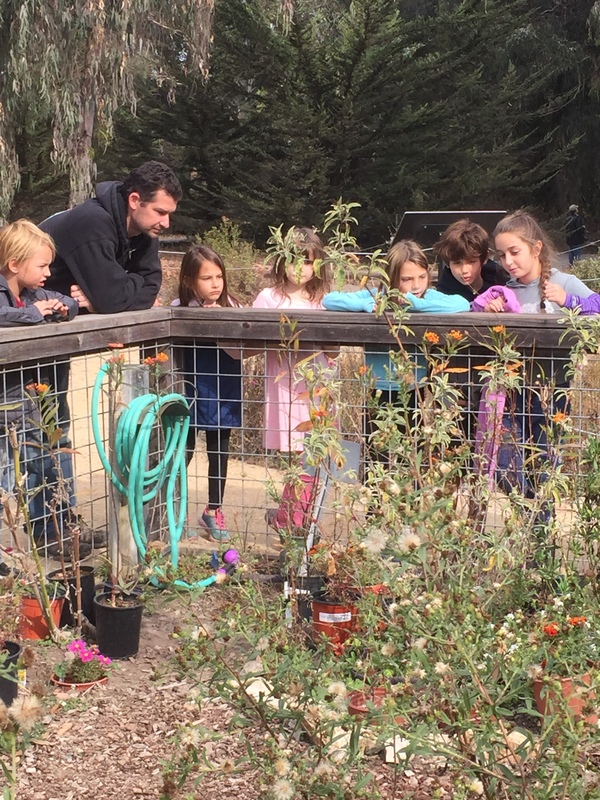 Nestled among the redwoods on 355 acres, Mount Madonna School (MMS) is a community of learners dedicated to creative, intellectual, and ethical growth. MMS supports its students in becoming caring, self-aware, discerning and articulate individuals; and believe a fulfilling life includes personal accomplishments, meaningful relationships and service to society. The CAIS and WASC accredited program emphasizes academic excellence, creative self-expression and positive character development. 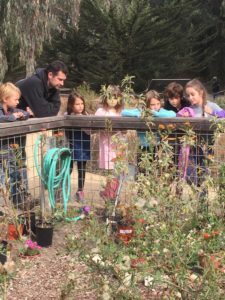 Located on Summit Road between Gilroy and Watsonville. 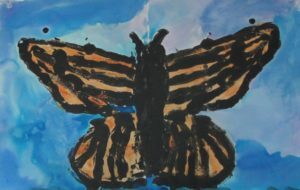 Founded in 1979.